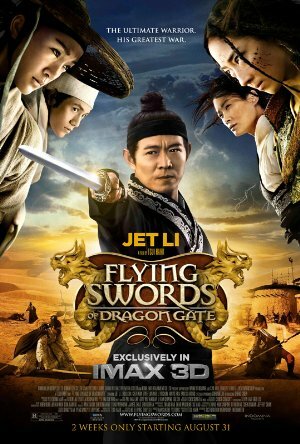 Flying Swords of Dragon Gate (2011) | Zefu Archives! Set three years after Dragon Inn, innkeeper Jade has disappeared and a new inn has risen from the ashes - one that's staffed by marauders masquerading as law-abiding citizens, who hope to unearth the fabled lost city buried in the desert. Copyright © 2015 Archives, JeffArts Inc.